HONOLULU – Governor David Ige today announced the nomination of Audrey Hidano to serve as the Deputy Director of the Department of Accounting and General Services. 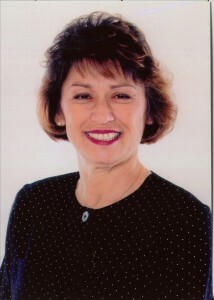 Hidano has a wealth of experience in government leadership positions and in the private sector. She has twice served as Deputy Director of the Department of Labor and Industrial Relations, and most recently she was the Deputy Director at the Department of Transportation. Hidano also co-founded Hidano Construction, Inc., a general contracting company that specializes in residential and light commercial construction, and is the co-owner of Rim-Pac, Inc. a construction company that specializes in solid surface work. She began her career as a public affairs analyst for Verizon (formerly GTE Hawaiian Tel). Hidano is active in a number of business and community organizations including the Nuuanu-Punchbowl Neighborhood Board, the Nuuanu YMCA, the Hawaii Employer-Union Benefits Trust Fund (employer trustee), and the Building Industry Association. She is a graduate of Honolulu Business College and McKinley High School. Hidano’s nomination is subject to Senate confirmation.